The Chevrolet Camaro was born out of panic! Sales of the Ford Mustang had gone through the roof. General Motors needed to buck their ideas up - and fast! Rolling to the rescue came the 'Camaro'. Key to its success was its 'Coke bottle' styling - by Bill Mitchell. The Z28, especially - with its duck-tail rear spoiler - rivalled the Mustang for glamour. GM were back on track ... and so were sales! 220,000 Camaros were shifted, in the first year alone. Buyers had a choice of V6 or V8 - as well as a variety of tuning options. The most uncompromising package was the SS (Super Sport). Less extreme - and more popular - was the RS (Rallye Sport). These are now the most collectible Camaros. The '70s ushered in an all-new Camaro. It featured monocoque construction. If the new model's styling was not quite so inspired as the original, it still worked as a cohesive design. And it was a lot slimmer than the latest Mustangs! 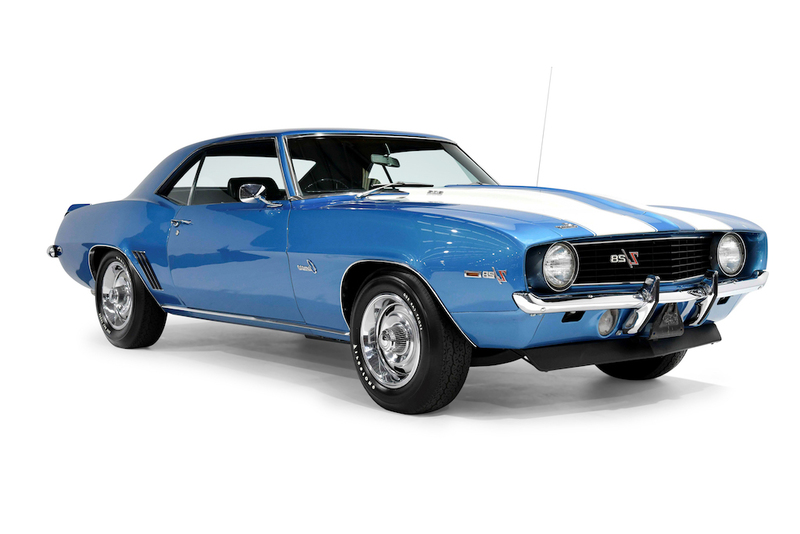 Sales of '70s Camaros peaked at close to 2,000,000. GM were happy bunnies again! Though down on power compared to the '60s versions, it was clear that Stateside motorists had taken the Camaro to their hearts. Whenever a car starts to symbolise the American dream, things are looking up! The Camaro was a classic case of competition improving the breed. Had it not had the Mustang as a rival, it is debatable whether it would have soared to quite the heights that it did. In the end, the Camaro was a car which it was difficult to fault! With a top-spec speed of 125mph, performance was sorted. Design-wise, it was out of the top drawer. In short, it got everything right. Not so much the Mustang - which rather lost its way, over time. While the 'pony' car developed a paunch, the Camaro maintained a solid six-pack! Ultimately, both are great American automobiles ... stone-cold classics of their muscle-car kind. And if some say the Camaro got it on points ... well, that would only have been because there was a tad more styling stamina in its corner!